This week the National Wildlife Federation celebrated ten winners of their National Conservation Achievement Award in Washington, DC. The theme for the night was "Rediscovering the Joys of Nature." 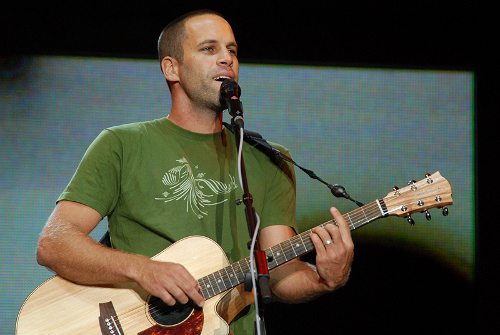 Jack Johnson, as a platinum selling musician, not only brings beautiful music to the ears of his fans, but also awareness to issues that are closest to him. Johnson donated 100 percent of the profits from his Sleep Through the Static and To The Sea tours to charity, and also founded the Kokua Hawaii Foundation and Kokua Festival to support environmental education in Hawaii's communities and schools. His tour profit donations along with his other charitable activities, such as founding the Johnson Ohana Charitable Foundation, have accumulated over $25 million donated to charity since 2011. Governor Martin O'Malley and Judge Katie O'Malley make a great pair, committing their service to a sustainable and green vision for Maryland citizens. Governor O'Malley signed an executive order to promote outdoor activities and environmental education in 2008, and in 2009 stood behind the Maryland Children's Outdoor Bill of Rights. Judge O'Malley promoted the "Grow It Eat It" campaign in collaboration with University of Maryland, planting one of the first backyard food gardens in a U.S. Governor's home. NWF began sponsoring Nickelodeon's The Big Help social campaign in 1994, when the television network first used its indoor influence to get kids outdoors. The program encourages kids to take real world positive actions affecting their communities, and today those actions ring in at over 6 million. Nickelodeon also partnered with NWF and 50 other partner organizations to sponsor the 8th annual World Wide Day of Play celebration, getting kids across the country excited to go outside and be active. Boston, MA Madeline is studying Communications and Public Advocacy at Northeastern University. Going vegan on a whim in 2011 changed her entire lifestyle for the better. Her course of study, health and career intentions now revolve around plant-based living. All it took was one question ‘Why would you care more about what goes on your body than what goes in it?’ When she’s not in classes she works at Teavana and keeps up her own recipe blog. The only thing that makes her happier than talking about food is traveling, but it’s a pretty close tie.